Click here to learn how to track your leads and sales from your messages. In order to track leads and sales from your messages, you'll need to create a product inside of MSGHero. Before we do that, we'll need to set our currency for our account. To do this, go to "Settings" (from your profile picture drop-down in the top right corner, click on "Profile"). Next, click on the "Tracking" link in the left column. Here, you'll be able to set your currency. Next, you'll need to do is click on "Tracking" from the top navigation menu and select "Products" from the drop-down menu. 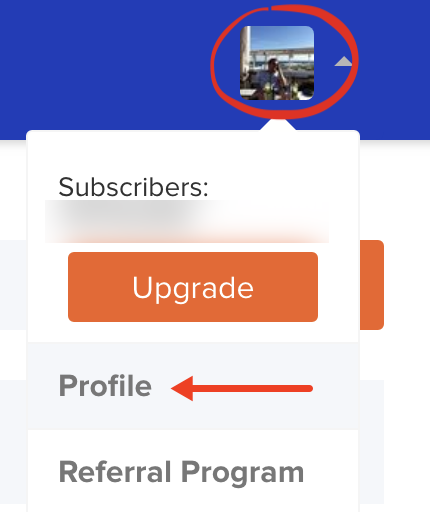 Next, you'll need to click on "+Add New" in the top right corner. A pop-up will appear with all of your product settings as shown below. You'll need to select whether you are tracking leads or sales for this 'product'. If you'd like to track both, you'll need to create one product for the sales objective and another for the lead objective. The name of your product, for personal reference. This is the URL of page where you sell your product. Please insert the domain name with http:// OR https://. This is the URL of the page your prospect lands on after opting in. The third step in the process is the place your product pixels so MSGHero can track your leads and sales. 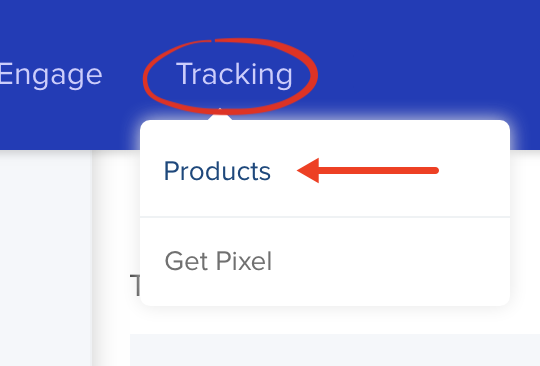 To do this, click on "Tracking" from the top navigation menu and select "Get Pixel". Here, we have 4 different types of pixels, I'll explain each in detail below this screenshot. Before I explain the pixels below, please note all pixels need to be placed before the </head> tag on your pages. The general pixel code needs to be placed on your sales page (if you are using a sales objective for your product), or on your opt-in page (if you are using a lead objective). The add to cart pixel is an optional pixel. You'll need to add this pixel code to your checkout page if you'd like to track people who visit your checkout page. The purchase pixel code, as mentioned above, is for sales objective only. So you'll only need this pixel code if you selected "Sales" as your objective when setting up your product. Place the purchase pixel code on your thank you page (the page the customer lands on after purchasing your product). The lead pixel code, as mentioned above, is for the lead objective only. So you'll only need this pixel code if you selected "Leads" as your objective when setting up your product. Place the purchase pixel code on your thank you page (the page the prospect lands on after opting in/submitting their email address). Once we've placed our pixels, we're now ready to track leads and sales from our messages (well, almost I promise!). The next step is to set up tracking from your message. So you'll either need to create a new messaging funnel (or edit an existing messaging funnel). The way the tracking works is you need to link a button in your message to your product or lead campaign. 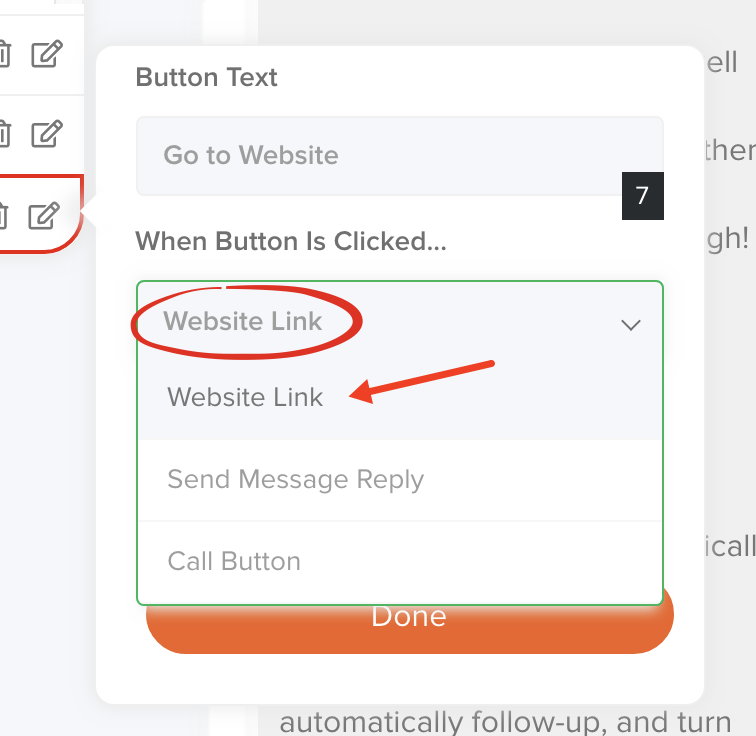 So inside of your message, add a button and select "Website Link" from below "When Button Is Clicked". When you select "Website Link" you'll notice a new "Link Type" drop-down appear. Here you'll see "Track Sales" and "Track Leads" as options. 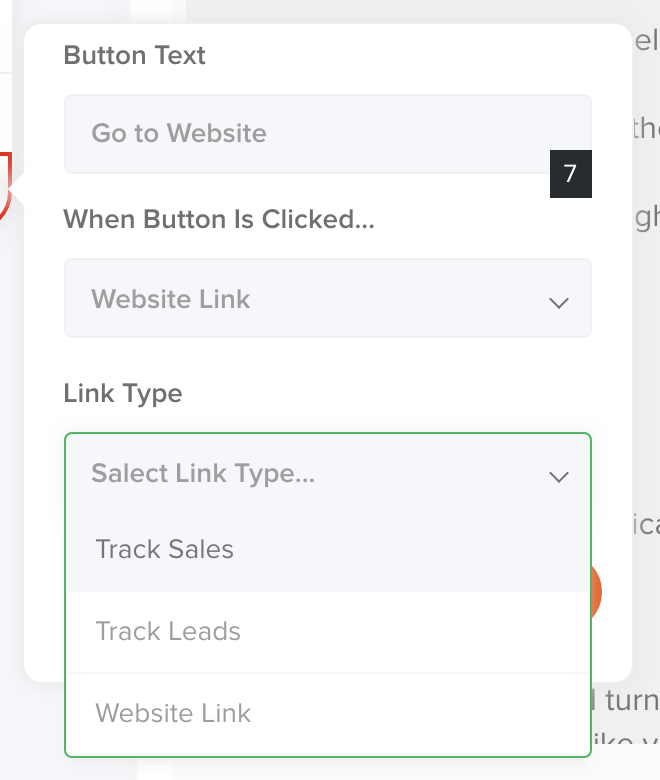 If you want to track sales from this message, click on the "Track Sales" option and if you want to track leads from this message click on the "Track Leads" option. 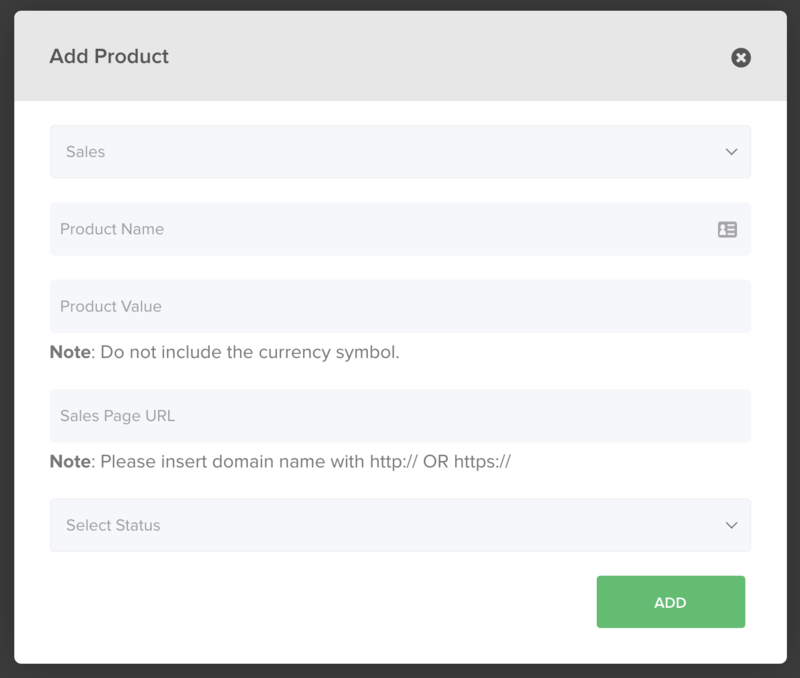 Depending on which option you select, a drop-down will appear and you can select the product that you want to track leads or sales for (as shown below). 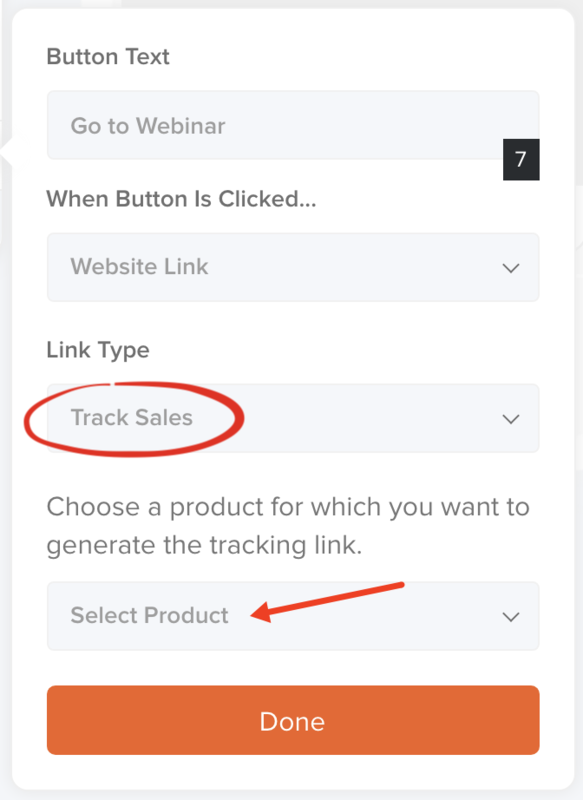 Once you select your product, it will automatically insert a tracking link into your button URL field by placing a tracking parameter to the end of your link. Just click on "Done" and your button is now all set for tracking leads or sales! The final step - rejoicing in the analytics! Now that you're all set up, you can view your analytics on all of your messages! The sales analytics module gives an amazing overview of your messenger marketing leads and sales and the product analytics section provides greater detail into exactly which messages are converting and so much more!